Obstructive sleep apnea syndrome, or simply sleep apnea, is a disease process caused by repeated episodes of a closing of the upper airway during sleep, resulting in the reduction of airflow and oxygen to the lungs. This can lead to low oxygen levels in the bloodstream, gasping episodes and frequent nighttime awakenings. Most people with obstructive sleep apnea snore loudly, stop breathing during sleep and have episodes of gasping, choking, gagging and coughing. Often, the person isn’t aware that he is waking up dozens of times during the night as a result of trouble breathing, but these episodes lead to restless sleep and therefore daytime fatigue, regardless of how many hours the person tries to sleep. While many people suffer from sleep apnea who aren't asthmatic, studies suggest that people with asthma are at increased risk for sleep apnea and that sleep apnea actually can worsen asthma and asthma symptoms in a number of ways. For instance, sleep apnea increases acid reflux, which can contribute to weight gain and obesity, causing decreased airflow in the airways of the lungs, and may cause increased inflammation throughout the body, including the lungs. Acid reflux during sleep is well-known to cause and worsen night-time asthma symptoms. Sleep apnea can cause and/or worsen acid reflux, by decreasing the ability of the sphincter muscles in the esophagus to keep acid in the stomach. Sleep apnea also may cause an increase in the number of inflammatory chemicals within the bloodstream, which could worsen the inflammation in the lungs caused by asthma. These inflammatory chemicals also contribute to weight gain and obesity, which further worsens asthma. Since airflow is decreased during sleep apnea, this leads to low oxygen levels in the bloodstream and strain on the heart. Narrowing of the small airways also leads to more irritation and contraction of the smooth muscle around the airways in people with asthma, worsening asthma symptoms. Continuous positive airway pressure (CPAP) is the preferred therapy for obstructive sleep apnea. CPAP involves the patient wearing a mask during sleep that provides a continuous stream of pressurized air to keep the airways open. There is a surgical option for the treatment of obstructive sleep apnea, called a Uvulopalatopharyngoplasty (UP3 or UPPP). This is a procedure used for the treatment of several different ailments but is the most commonly performed surgery for obstructive sleep apnea. It involves taking out the tonsils and part of the soft palate and uvula. It's recommended for patients who are not overweight or obese. However, even with the UPPP surgery, many people end up needing CPAP therapy anyway. It's important to note that before using a CPAP device, it's necessary to get a diagnosis of obstructive sleep apnea from a physician. 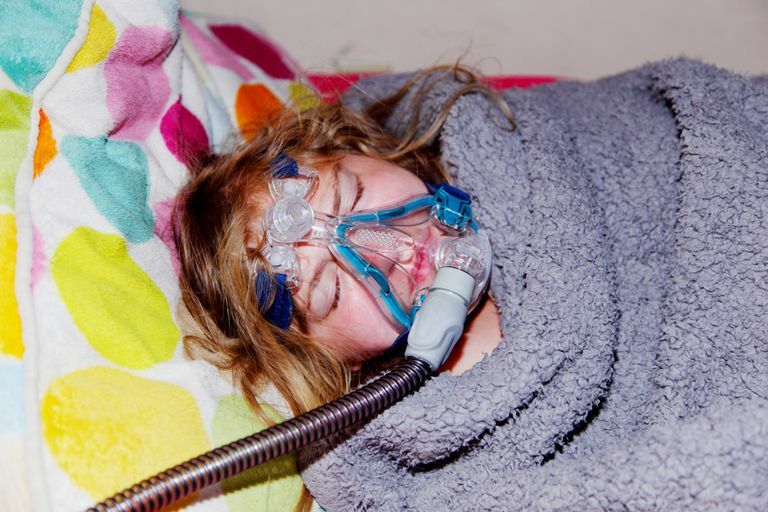 Using CPAP incorrectly can actually cause symptoms to worsen. But when used with a doctor's supervision, CPAP seems to reverse many of the harmful effects of sleep apnea. Acid reflux is improved with the use of CPAP and inflammatory chemicals caused by sleep apnea decrease with the use of CPAP, which may result in less inflammation within the body and the lungs. Airflow within the airways is increased with the use of CPAP, leading to the opening of the airways, better oxygenation of the lungs, and decreased contraction of the smooth muscles around the airways. Is Your Immune System Making Your Asthma Worse? Can Stress Make Asthma Worse? How's Your Oxygen? Pulse Oximeters That Can Be Used At Home. Will an Immunomodulator Help Your Asthma? Is Histamine Impacting Your Asthma?